 If you're wondering why there weren't many updates to ThEpic Review last week, it's because my grandmother passed away on Monday, March 31st. My grandmother was a wonderful, loving person and I'll miss her dearly. She taught me so much and was such a significant part of my life, and I was very proud to be able to fulfill her wishes by officiating and delivering the message at her funeral service. When she told me she wanted me to handle that task over a year ago, I told her that I didn't think I'd emotionally be able to do it. When the day came, however, after much prayer and reflection, I was able to do so for her. At her service, I shared many memories of my grandmother, and talked about the lessons myself and other family members had learned from her life. There were some memories, however, that were far too nerdy and specific to me to share there amidst my entire family during that service. So, I'm sharing them here as both a small tribute to my grandmother and a way to store them for my own daughter to read someday. 1. Grandma dressed like Skeletor to play Masters of the Universe with me! 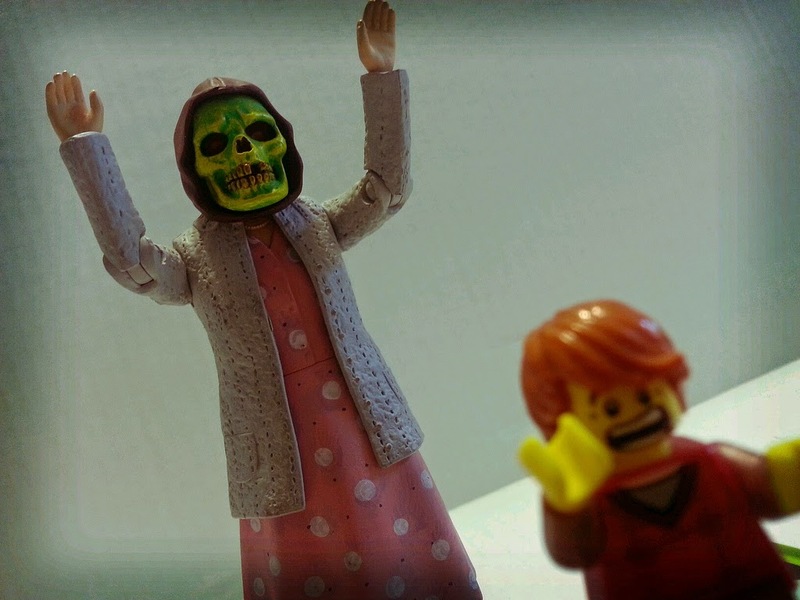 Many of my action figure related memories stem from my grandma, but one of the most significant ones that sticks out for me was when I was staying at Grandma's house and she came out of her bedroom dressed like Skeletor. The 1987 movie had just came out, but I was too scared to go see it, only being around 3 or 4 at the time. Anyways, I did want to play He-Man and so I went and grabbed 2 belts, some red shorts, and a pot lid, and came out looking for evil. And find evil I did! When Grandma came out of her room dressed in a hooded robe with her face covered in cold cream and wielding a broom as her Havok Staff, I actually was kind of scared at first. When your grandma dresses up like Skeletor to play Masters of the Universe with you, you know she loves you! One year when we went on vacation to Myrtle Beach, SC, my parents let me take my Nintendo with me. 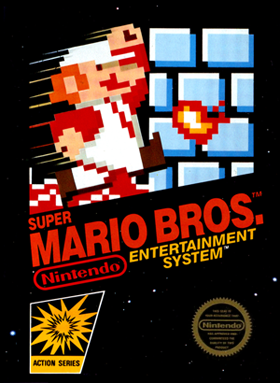 While sitting in our hotel room one morning playing Super Mario Brothers, Grandma asked if she could play. I tried to explain the buttons to grandma, but she took off flying through the level and jumping as often as she could. To my surprise (and my dad's, since he had been the only one in our family at that point to have beaten the game,) Grandma discovered the hidden 1-up mushroom in the first level. We always laughed that Grandma showed us something we never knew about in the first level. Let this serve as a lesson that we can always learn from our elders. In July of 1999 I was staying at my grandma's house for the summer and had just purchased Quake 2 for my Nintendo 64. Grandma would always sit around and watch me play video games, Quake 2 included. One evening while playing the game, Grandma asked me what the little ghost on the screen was supposed to be. I tried to explain to her that the enemies weren't ghosts but Stroggs, but she said that this wasn't the typical bad guy: It was a ghost of some kind that was floating on the screen. I began to get a little nervous as there were clearly no ghosts on the screen. I kept playing, and Grandma kept telling me the little ghost was following me everywhere I went. I started to get more nervous, wondering what exactly grandma was seeing or if she was beginning to grow delusional. Finally, I asked Grandma to point it out to me. She got up, then stated it had disappeared. It turns out it was a reflection from a light across the street shining through a window onto the TV. When I sat down where grandma had been seated, it did indeed look like a ghost had been floating around the screen. We both laughed, but it definitely creeped me out. 6. Grandma took me to buy Banjo- Kazooie in a car with no brakes. Granted, we didn't know there were no brakes at the time (or more accurately, that the brakes were completely shot), but during June of 1998 while I was staying with Grandma we made a trip to the store to pick up Banjo Kazooie for the Nintendo 64. Grandma didn't drive much at that time and I wasn't old enough to drive, but we both needed to get to the store, and I wanted Banjo Kazooie. We set out in Grandma's old van, at some point realizing that the brakes didn't quite work the way they were supposed to. Driving very slowly, we safely got to the store and back and we spent the rest of the summer trying to beat Gruntilda. 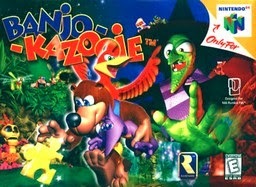 My grandma loved Banjo Kazooie as we'd sit around playing it quite often while eating Drumsticks. A couple of years ago when the game was released on X-box arcade, I downloaded it and started playing it. Pretty shortly after starting, I decided to run to the store for some Drumsticks and gave Grandma a call. She also had the same vivid memories of the time we had spent together. It's amazing how such wonderful memories of someone you love can be tied to something as insignificant as a video game and a frozen confection. When I was in high school I often contributed to a local public access show called Static. My widowed Grandma met a wonderful man (Hi, Grandpa!) and brought him to visit our family as they were planning on getting married soon. While they were visiting, I was working on a video for the TV show and asked Grandma if she would help me. The theme of the video was that I was buying a haunted house from an unscrupolous realtor. My grandma played one of the ghosts, wearing a set of red onesie pajamas, two giant foam claws, and a latex Halloween mask. In front of her soon-to-be husband. Yes, this was incredibly awesome. Surprisingly, soon-to-be Grandpa jumped in on the fun and ended up playing the realtor for my video. It was a hit! When I was younger my cousins and I would always want to play with a giant wooden fork and spoon that hung on my grandma's wall in her dining room. They were decorative pieces, but we thought they were really cool. My cousins and I would make up stories about how our grandma was actually a ninja and those were here weapons. One day when we were being a bit too rambunctious at her house, Grandma slipped off and came back with a scarf over her mouth and the giant wooden utensils in her hands. She told us that if we didn't behave, Ninja Grandma was going to bust us. Even though Grandma had never laid a hand on any of us, we took her seriously. Because she was a mother flippin' ninja. That's why. The fork was also like two feet long. When my cousins and I would stay at Grandma's house, we'd often spend much of our time playing Nintendo 64. Sometimes Grandma would ask for the controller so she could try. One day, we gave her a controller that wasn't plugged in while I kept the active controller under a pillow on my lap. My cousins and I were pointing and directing Grandma where to go and what to do while grandma excitedly hit buttons on the non-functioning controller. It almost broke my heart to tell her that she wasn't actually playing as she was getting really, really excited by how well she thought she was doing. But of course when we told her, Grandma laughed along with us, so everything was OK. I've covered these before, here, but I love them so much that I want to include them again! These tombstones were made in 1987 (although the dates fool you into thinking they're older) and were made with the help of Grandma. Looking at these, they're pretty honest and regular. 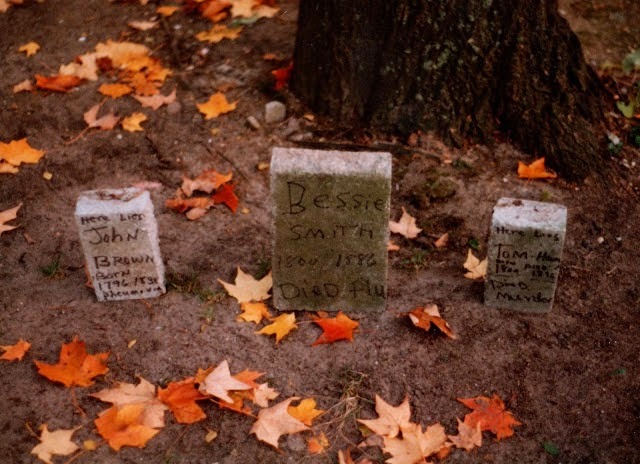 Usually gravestones used for decoration have silly little sayings on them or the names of movie monsters; these ones apparently served to educate kids about the harsh realities of life before the discovery of penicillin. They also helped me to become an expert at the Oregon Trail in computer class. On the far left, notice John Brown who died around the age of 42 from pneumonia. Then in the middle we have Bessie Smith who died at the age of 86 from the flu. That's not really a bad run, if you think about it, especially considering they didn't have seat belts or gluten free bottled water back then. On the right is the conundrum: poor Tom Ham, who died from murder. While you're probably thinking: "Finally! Something awesome and spooky," you might want to stop and notice that Tom Ham was killed at the age of 96. Who kills a 96 year old? Was Grandma trying to teach me about mercy killings at a young age? Someday in the future, I imagine historical revisionists will probably look back at this picture and anachronistically claim that Tom Ham was the victim of a Soylent Green styled government death panel. While sadly I have always lived further away from my grandmother than I would have liked, I was fortunate enough to be able to spend many summers with her while I was growing up and to go on vacation with her and my grandfather many times, including most recently in 2011. I was also able to visit her this past November so that her and my infant daughter could be acquainted. I know my grandmother loved my daughter even before she met her and I hope that through the memories and stories shared by me, and by my wife and parents, that my daughter will be able to love her great grandmother even though she won't have any memories of her own. It's because my parents and family have been such wonderful storytellers and keepers of information about my Pappy (my paternal grandfather) that my vague memories of him and the few possessions I have from him have blossomed into love, respect, and even a feeling of closeness to a man who passed away when I was just a very young child. I hope to be as good of a storyteller for you, my dear Adora, so that you'll have some connection to a family member whom you only knew briefly but who still loved you dearly, and near the end believed that she held you every night. Connections to those we love who have passed away are valuable, even if that connection is just a memory, an action figure, a silly home movie, or a song about old Jake Rockwell. I'm terrible with this kind of stuff, so I'll just keep it positive: She sounded AWESOME, and I can only hope to create similar memories for someone I care about. Oh my goodness, this was so beautiful Barbecue. I am so sorry to hear of the loss of your grandmother, but how wonderful that you have these stories. I am so happy I got to read this and learn more about the awesome memories you will always have with you. Your grandmother sounds like she was a very cool lady. Thank you for sharing this. I hope you are doing well. Jerry am sorry for your loss but want to thank you for sharing those wonderful memories of your grandmother with us they really made me smile. You and Grandma were above all best friends, when she received a call from you she was right on the phone telling us you called..... Your words and the memories you shared at Grandma's funeral were wonderful and stirred up such memories, they definitely allowed those who knew her well to take a warm-hearted "walk through the memories" and those who didn't know her quite as well to walk away with a new love and appreciation of a lady who would do anything to make life better for those she met. But that is a hell of an awesome tribute! Sorry for your loss, she sounded like an amazing woman! And what is up with those giant wooden utensils? My Grandparents had those on their wall too! Sorry to hear about your Grandmother's passing; from your stories, it's obvious that she really went above and beyond the call of duty when it came to you. We should all be so fortunate to have someone like that in our lives--try to be that awesome when, and if, you ever become a Grandpa! When I was a kid, a former friend pulled that controller thing on me when I played Super Mario Bros. on his NES for the first time. I happily wailed away on the pad and buttons, thinking that it was me being totally great at the game, when it was really him (and it took me several minutes to figure out that anything was amiss). Absolutely beautiful! You did a great job and I can only hope I can make memories for my future grand children like your grandmother did!